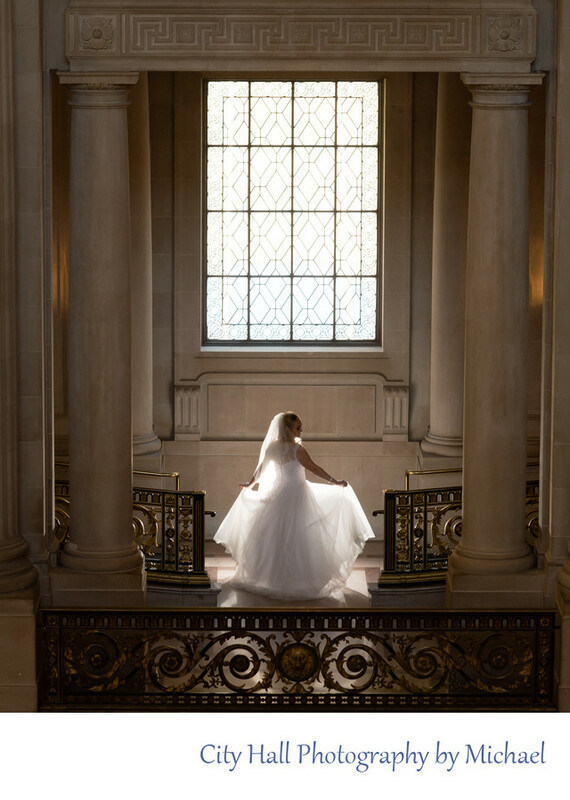 Some of the best window light at San Francisco City Hall can be found on the Second Floor on the south side. At certain times of the day, the light come streaming directly in to the building and you can use it for the best possible back lighting. As you can see in this Bridal photo, the light coming from the window gives her wedding dress and nice glow. We posed the bride in such a way to enhance this look and came up with the photo above.